The Taste is a cutthroat reality competition show in which four celebrity food personalities must choose the best talent simply on the flavor of one spoonful. Perhaps the toughest mentor is chef Ludo Lefebvre, the classically trained French culinary master. 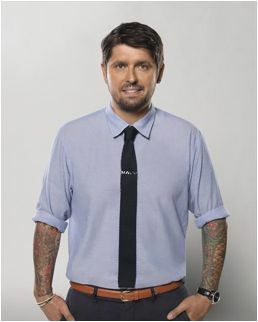 But not only does the 41-year-old hope to influence his contestants, he’s proven to be a man of his word in the pressure cooker that is reality TV. One contestant that he’s assisting didn’t even make his team. In fact, Renee, was eliminated in the first round of competition. But Ludo immediately regretted not selecting the culinary instructor who had quit her job to try out for the series and offered an opportunity to work for him. And it turns out, it wasn’t just an empty gesture to impress TV viewers. Words to live by. Tune in to The Taste every Tuesday night at 8 p.m. EST/7 p.m. Central on ABC.